Alaskans should be able to buy the anti-opioid overdose medication naloxone directly from their pharmacies as early as the end of November. But with drug costs high and the medication not always covered by insurance, the state is gearing up to use a $5 million federal grant to distribute free doses of the drug, often sold as Narcan, throughout the state. Narcan can counteract the effects of an opioid overdose. Wider availability of the lifesaving drug has been seen as a way to lower Alaska's heroin death toll: In 2015, some 38 people died of drug overdoses involving heroin in Alaska, according to data from state epidemiologists. So far in 2016, 23 people died from such overdoses as of Aug. 31, the most recent data available. Amid growing concern over the deaths, Alaska lawmakers earlier this year passed Senate Bill 23, a bill designed to make anti-overdose medications easier to access by removing civil liabilities from doctors and trained bystanders who prescribe or administer the drug. The bill was signed into law March 14. The bill was supposed to pave the way for pharmacists to dispense naloxone independently, without a medical doctor's prescription, allowing it to be purchased easily in pharmacies. The state Board of Pharmacy was charged with creating the new naloxone regulations. But the process has been unfurling slowly, and some critics ask why it has taken so long. "I'm thinking all the legislators thought it was in effect after signing in March with emergency regulations," said Michele Morgan, an advocate in Juneau. Sen. Johnny Ellis, an Anchorage Democrat who was the bill's main sponsor, called the board "bureaucratic" and said they were "dragging their feet when lives are at stake" in comments to Alaska Public Media in September. Ellis could not be reached for this story. 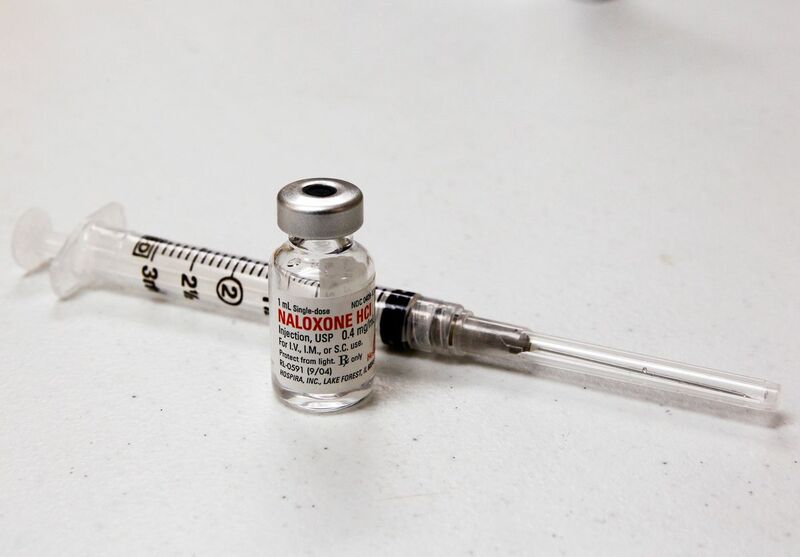 On Oct. 7, the state Board of Pharmacy held a special meeting to adopt the naloxone rules. As of today, the rules have been vetted by the Department of Law and are now awaiting a final signature of approval from Lt. Gov. Byron Mallott, according to Janey Hovenden, the director of the Alaska Division of Corporations, Business and Professional Licensing, which oversees the board. Then there's a 30-day, state-mandated waiting period. It exists as a "way for the affected public to see the final product and have 30 days to prepare," according to Colleen Kautz, a program coordinator for the division. The final go-ahead could come as early as the end of November. After that, pharmacists who've completed a one-hour training approved by their state board can directly sell Narcan to customers, according to Alaska Pharmacists Association executive director Molly Gray. Before, people had to have a doctor's prescription to get Narcan. Chain pharmacies say they are planning to train their pharmacists to dispense the product. Fred Meyer sells Narcan in some of its stores in Oregon, Washington and Idaho and will "more than likely" do the same in Alaska once the final rules are out, said company spokeswoman Melinda Merrill. Carrs/Safeway says pharmacists at its stores already dispense Narcan with a prescription in Alaska. "As soon as training requirements are identified by the Alaska Board of Pharmacy, Carrs/Safeway will train our pharmacists so they are able dispense Narcan/naloxone without a prescription," wrote Tarisa Worman, a spokeswoman for Albertsons Safeway, the parent company of Carrs. Narcan will likely be found "behind the glass" and not available to grab off a shelf, officials said. Even when Narcan is only a trip to the grocery store away, there are still barriers to getting it to the people whose lives could be saved by it. The biggest is the price. The cost of Narcan has skyrocketed enough in recent years to draw the ire of some members of Congress. The retail price for the most common forms of the drug range from $150-$4,500 without insurance, according to Fred Meyer. Insurance doesn't always cover it. The cost means Narcan is less likely to end up in the hands of people who really need it, said Andy Jones of the Alaska Division of Public Health. Jones oversees a project that will take advantage of Alaska's newly relaxed naloxone laws to distribute Narcan nasal spray kits to groups statewide, using money from a $5 million grant. So far, the state has purchased about 2,000 doses of a Narcan nasal spray, a $150,000 order, Jones said. Jones said the kits will be distributed to everyone from law enforcement departments to medics to nonprofits starting in mid-November to early December. There will be some training, but it will be quick — about a half-hour, he said. He envisions the kits going everywhere from Quinhagak to Bethel to Juneau, he said. "It would allow our smallest to biggest communities to offer it," Jones said. Ideally groups will eventually be trained to distribute Narcan to individuals, and people will be able to look up the closest source with a cellphone app. There's a hunger for anti-overdose drugs, Jones said. "I get two to three people a day saying, 'We want to be part of this, we want to be dispensing,' " he said.